The Galapagos Islands take “snail mail” to a whole new level. 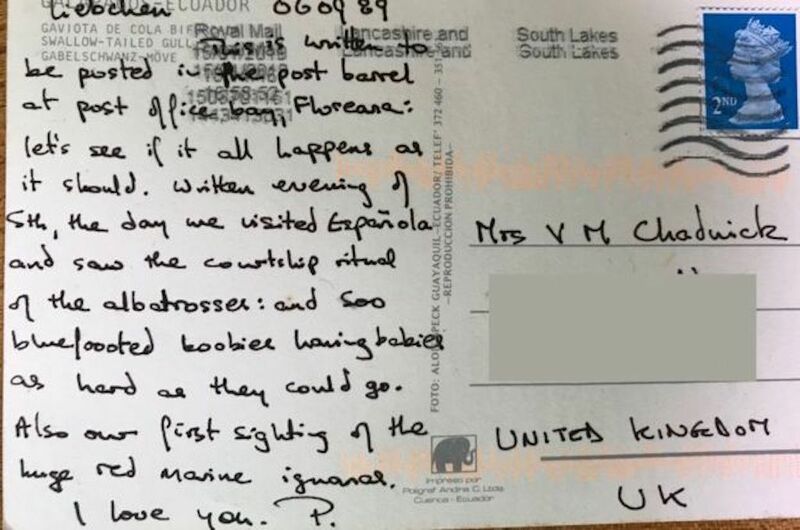 In 1989, Peter and Varna Chadwick were on vacation in the Ecuadorian islands when they sent postcards to themselves at their home in Manchester, England, as a souvenir. The postcards didn’t arrive; however, last month, the home’s new owner, Kevin Thewlis, received them. He tracked down the Chadwicks, who now live in Stockton-on-Tees, to reunite them with their long-lost postcards.